Two days ago I received these three Awards. To be organised I will go through each of them individually. I received a Very Inspiring Blogger Award from The Burlesque Baker, a great Blogger. Thanks for this one. I like the idea of mixing baking and Burlesque. I am getting desperate with my laptop lately. So slow. I can’t stand impatience drivers. If I come across one, I drive at 10km/h. I was a bold kid. Fire was a great attraction for me. I don’t drink fizzy drinks. If I do, it’s only Rum and Coke. I don’t like card games. I think I am very organised when I cook. 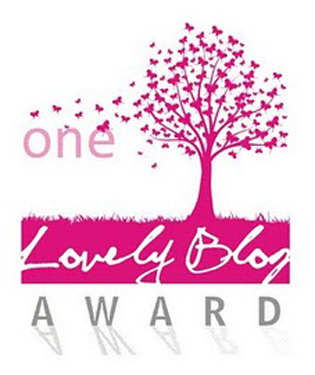 Thank you Tabkhet El Yom for this “One Lovely Blog Award”. It is really an honour. Her blog is full of delicious recipies. And I love how she uses spices. Check it out. I don’t cook to many dishes involving frying. Don’t like at all the smell of frying. When I cook I try to leave the kitchen better than when I started cooking. I was a bit naughty in college. I was going out , probably, too much. More than likely, I said this before. Spanish politicians drive me mad. I prefer good prawns than a lobster. I hate ironing. And I have to do it every day. If I have to choose an animal it would a Fox. 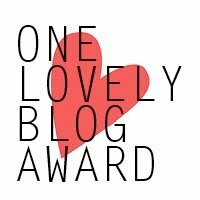 And another One Lovely Blog Award. This one from Peri’s Spice Ladle. A lovely blog full of flavours and colors. I have loads to learn from her. After living in a house with garden, I couldn’t live in a flat again. I try to fix everything at home. And disasters happen. I only wear a watch if I am at work. I never wear shirts out of work. One of my favourites sports to practice is Frontenis. No courts in Ireland. I have no interest at all in cars. Enjoy all these Great Bloggers! 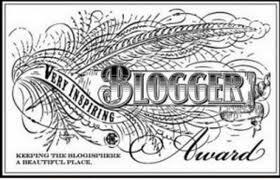 The Versatile Blogger Award and over 5000 visits! Another Award!! This Versatile Blogger Award comes from Tabkhet el Yom, thank you very much. A recent discovery full of lovely Middle East recipes. I really enjoy the clever combination of spices in her dishes, they make you travel far away… Check her blog, you will stay. I also reached more than 5000 visits to the blog yesterday. I am very impressed with all of you, my readers. Thank you so much for the time spent reading my recipes. I wasn’t expecting this. I went to a catholic school for 14 years. I am now, an active atheist. I like Richard Dawkins. I try to be politically active. I send letters and emails to politicians, public organisations and all public subjects not doing their job properly. The list is very long, specially in Spain. I like almost all sort of music, a few exceptions: Hip-Hop, Reggaeton (Is this music? ), commercial MTV type music and long exposures to Flamenco. Congratulations for all of them! Good job. What a great surprise I had when I was having my first coffee! This morning I found out my Versatile Blog Award nomination from a brilliant blogger, What about the pie? A BIG thank you. I love her concept of food. The memories that food can bring you…and how the taste of food can be different depending of the people and the environment. Following the Award rules I have to write 7 facts about myself and pass the award to 15 blogs that I enjoy. Another difficult decision. So here we go. We have been living in Ireland for 11 years and still loving it. Good people. But, where all the good fish is going? I played all sort of Sports. Lately running is the main one taking most of my time. The only food I hate are Brussels Sprouts. But I love Brussels! I have a big interest in Politics(studied Politics in College). I believe our politicians are a disgrace, a few exceptions. We got rid of out TV 6 years ago. That was the greatest idea! Eating books since then. We have three great pets always willing to eat all the leftovers. Pancho(Border Collie, Coco(Jack Russel) and Aurelio the cat. We found our paradise in La Vera. We will move there at some stage to enjoy the good life. Very surprised when I read about my nomination for The Liebster Blog Award from a great blogger, Food Safari. Thank you so much. Still have to try your Mocha Mousse Meringue! It is always nice to have recognition from colleagues sharing a passion, the art of good food. I really enjoy doing this and the nomination makes it even more satisfying. Thank you all for the time spent on my blog. I hope you can enjoy some of the recipes. Kitty’s Dolceforno. Not only delicious recipes, also a great image design. El Oso con Botas. Impressive baking skills with beautiful pictures. Big Hungry Gnomes. 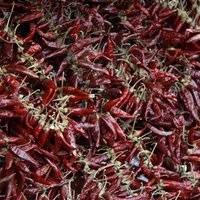 Lovely recipes in a very well design blog. Baking with Sibella. Bakes delicious cakes. I have to try them soon. Check them, you will stop there for a while. Mugaritz BSO. The sound of dishes. An interesting project showing the connection between Mugaritz Chef’s dishes and music. Mugaritz BSO – Official Trailer from Pixel Ikusentzunezko Ekoizpenak on Vimeo. This is something I really miss from home. Every time I travel to Spain I have to go to one at least. My favourite one is Maravillas, nothing fancy but with a huge range of products. In these Food Indoor Markets you can find everything: fresh and cure meats, fish, seafood, cheeses, fruit, breads, sweets… And all with the best quality. You can do you daily shopping there, that is the idea. They are not posh and expensive markets. With the exception of San Miguel, that has been refurbished recently and it is more a Delicatessen space. It is a pity that there are none in Dublin. It will be great to have in Dublin something like Cork’s English Market. Here, a couple of videos. The first one a playlist showing videos of the 43 Food Markets we have in Madrid. The second, San Anton, refurbished last year to a more European standard. Visit them and enjoy the smells, sounds, flavours and helpful people. We always try to have good salt at home. Normally Fleur de Sel or Pink Himalayan Salt. It really makes a difference. This one, from Spain, is a recent discovery. Salt with 200 millions years of history. It is quite interesting how most people associate the Olive Oil to Italy. A few years ago the International Olive Council made a survey about the perception of olive oil in the world. A big majority of consumers associated olive oil with the Mediterranean culture, Italy and Greece. Spain was at the bottom of the list. Sad for Spain. Very poor marketing. The interesting part is that Spain is the bigger producer of olive oil in the world and has more than 260 varieties of olives. And one of the oldest olive trees in the world, the Besavi, with nearly 2000 years, is still living in Lleida. The numbers are impressive. 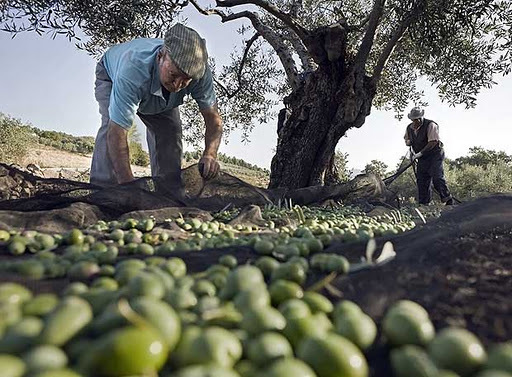 Olive oil production in Spain is 3 times bigger than the Italian and nearly 5 than the Greek.Italy is buying 1/3 of the Spanish production of olive oil and is the top importer of Spanish olive oil. Around 40% of the total production in Spain meet the Organic requirements. The olive oil is then bottled in Italy and sell in different markets with Italian brands. I am coming across a few brands of Italian olive oil with the sticker at the back saying “Bottled in Italy” or “Produced in the EU”. Nothing to say against Italians. Good business people. Finally, it seems that Spanish producers are doing their home work. Exports are increasing: to USA a 32% between 2009-2010 and around a 70% increase in the exports to China, India and Russia. Still can’t find a good variety of Spanish Olive Oil in Ireland. Come on guys, wake up! Another article rescued from the old website. We always have a few tins of Pimenton de La Vera at home, it has nothing to do with other Pimentones that you can find. Give it a try. Columbus carried chile peppers to Spain from the New World on his second trip in 1493, but who first used the pods for flavoring food? José Guerra, writing in “Foods from Spain News,” speculates that monks at the Monastery of Guadalupe in Extremadura were the first Europeans to discover the flavour–and heat–of chiles by crushing them and adding them to their soups. This theory agrees with that of food historians, who believe that chiles initially were grown in monasteries and the seeds were spread throughout Spain and Europe first by travelling monks and then by Spanish and Portuguese traders, who introduced them into Africa, India, and Asia. Within a hundred years after Columbus brought them to Spain, chile peppers had circumnavigated the globe and spiced up numerous regional cuisines.